– unparalleled expertise: 40 years of experience in the local market to working for you. – unmatched marketing: the most marketing for your home. we have yet to see any local property marketing rival what we do. – results: 87% of Real Estate Agents get out of the business…we have proven that year-after-year as a result of our work ethic, and our local market knowledge and expertise, that we truly know suburban Chicago real estate! Have you, or someone you know, thought about selling? If so, call (708)529-5839 today. Three of The Glockler Group’s last sales have broken sales price records in their communities! 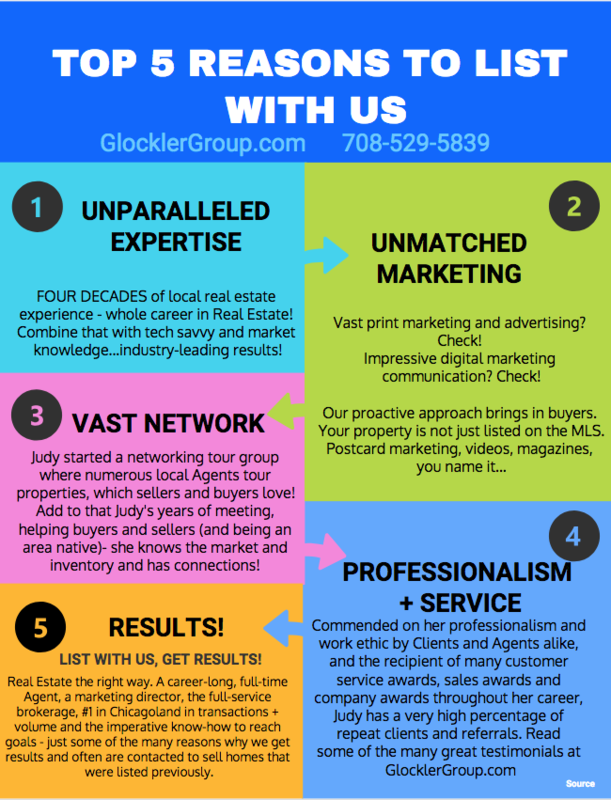 The Glockler Group has been successfully helping home buyers, home sellers, investors and builders in Homer Glen, New Lenox, Orland Park, Lemont, Palos Park, Tinley Park, Plainfield, Romeoville, Crest Hill, Lockport, Bolingbrook, Naperville, Woodridge, Lisle and the neighboring communities since 1978. Award-winning client service and unparalleled expertise, and business with integrity, friendliness and professionalism, are some of the many reasons why working with The Glockler Group makes all the difference.